It's the most wonderful time of the year ... for people seeking seasonal work. Amazon is planning to hire 70,000 workers to help out for the holiday season. The seasonal employees will work full-time at one of Amazon's more than 40 fulfillment centers across the country. Amazon's (AMZN) seasonal hiring this year represents a big increase from 2012, when the company hired 50,000 seasonal staffers. Amazon didn't go into details about the specific positions, but workers at the fulfillment centers typically perform a range of tasks involved in online orders: Pulling items from shelves, packing up shipments and storing merchandise. It's likely that some of the seasonal staffers will score full-time gigs. In 2012, Amazon said "thousands" of seasonal employees became regular staffers after the holidays, and it expects to do the same this year. 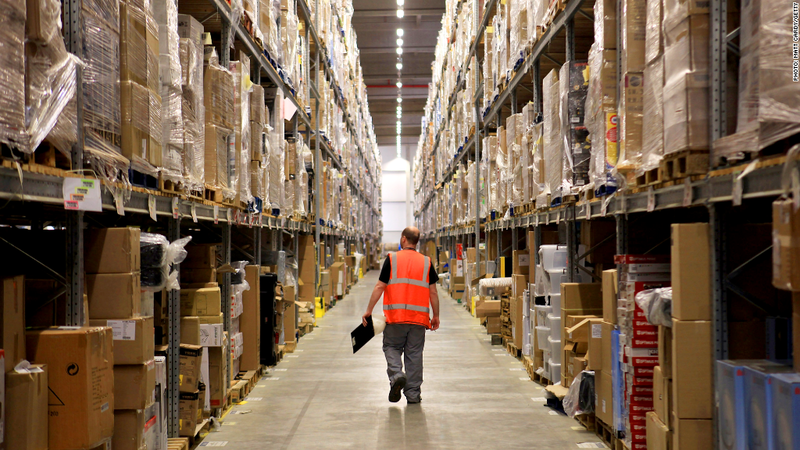 So far in 2013, more than 7,000 temporary Amazon employees have become full-time. Amazon is just one of several large companies that ramps up hiring around the holidays. Unlike Amazon's news, however, many other recent holiday hiring announcements have proved disappointing. Last week, Toys R Us said it will bring on 45,000 workers this year, roughly on par with last year's plans. Target (TGT) said this month that it plans to hire 70,000 temp workers, down from 88,000 in 2012. Wal-Mart (WMT), the nation's largest retailer, said it would hire 10% more workers this year compared with 2012. But a spokesman attributed some of the increase to the company needing to staff the 110 new stores it has opened so far this year, and the "quite a few more" it plans to open in October.